We would like to present you our newest issue that will focus on Wi-Fi pentesting and security. We hope that you will find many interesting articles inside the magazine and that you will have time to read all of them. In this issue you will be able to read tutorials about hacking WPA2 protected Wi-Fi networks with Fluxion and performing penetration tests on Wi-Fi networks with Aircrack-NG. We have also prepared an article for you that discusses multiple wireless client side attacks and you will be shown how to read sensitive information and open a shell on the client machine. Next article titled ESP8266 and WiFi PenTest demonstrates different views on sniffing techniques in wireless networks. In this issue you also will be albe to read about 0patch – new initiative of micropatching. Once we have successfully been able to exploit the vulnerable program, we will also go about patching it without access to the source code, using the 0patch Agent for Developers. Last but not least the creator of the USB-Lock-RP will introduce you to his software that is effective in protecting organizations network endpoints. Again special thanks to the Beta testers and Proofreaders who helped with this issue.  Without your assistance there would not be a PenTest Magazine. The first part of this article gives an overview of development of Wi-Fi Security including its current state of development. In the second part, a practical introduction to hack into a wireless network using Fluxion will be demonstrated. The application uses known programs, such as Aircrack-ng, etc., to hack into WLAN networks using both a technical based approach and a social engineering approach. This paper presents a brief theoretical background on 802.11 standards, encryption algorithms, wireless security protocols, and the tools used to attack WPA2 networks because they are standard on routers. The research focuses on current standards in hands-on testing and testing, Linux distribution tools and scripts developed by communities like Aircrack-ng will be used in the intrusion tests. Wireless is here to stay and becoming more and more pervasive. Understanding wireless and the risks and vulnerabilities involved with its use are crucial concerns for your organization’s security staff. This article aims to demonstrate different views on sniffing techniques in wireless networks. With the growing need to keep people connected, wireless networks become the escape valve to address this demand. However, how exactly do these networks work? There are issues related to the professional activities of digital analysis with the use of network sniffers, which are programs that have the function of capturing the packets that travel in the network. Through this article we will discuss multiple wireless client side attacks that will target the client himself and we will see how we can read sensitive information and open a shell on the client machine. The purpose of this document is to present professional methodologies within Wi-Fi penetration testing. The information provided will be gathered from relevant research papers that discuss the present methodologies, tools and professional issues a penetration tester would consider within a business environment. Existing penetration testing frameworks will be analyzed to conclude a combined methodology for wireless penetration testing. Common exploitation methods will be discussed as well. Social, ethical, professional and legal issues (SEPL) will be considered and detailed. It is critical for an information security/ IT auditor / system administrator to be cognizant of the various controls inbuilt in Windows systems that help secure the platform. Key to this controls; especially due to the simplicity of effecting these controls are the Windows policies. A new initiative of micropatching – 0patch! All software, even security software, has bugs or vulnerabilities. The burden of fixing or patching vulnerabilities lies on the vendor. The offensive side of security is more fun, however, as I came to find out, so can the defensive side of security. And I’m talking specifically with regards to vulnerability research. After the 0patch team patched many vulnerabilities and blogged about the process, I thought: “What better way to start with 0patching, than to start by patching the very software that hackers use to teach exploit development to other aspiring hackers?” So this article will be about that. USB-Lock-RP is a straightforward software tool that protects data and systems in IT or Industrial Networks by centrally controlling the use of portable storage devices such as mobile phones, removable USB/e-Sata/Firewire drives, Compact discs, and Bluetooth/IrDA/Wi-Fi Transceivers. In this article, I will explain USB-Lock-RP, a straightforward approach to portable storage devices control including its new capability to block keystroke injection attacks.